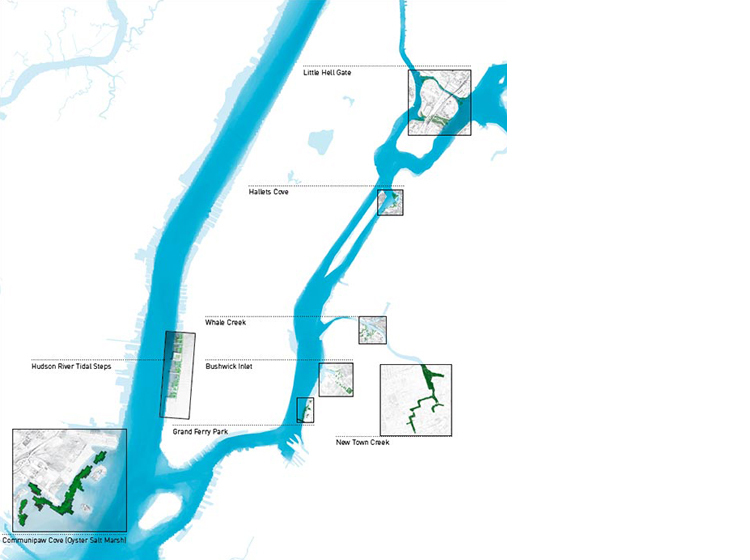 Bone/Levine Architects, in partnership with the Cooper Union Institute for Sustainable Design, developed a series of proposals for projects on the NYC waterfront. 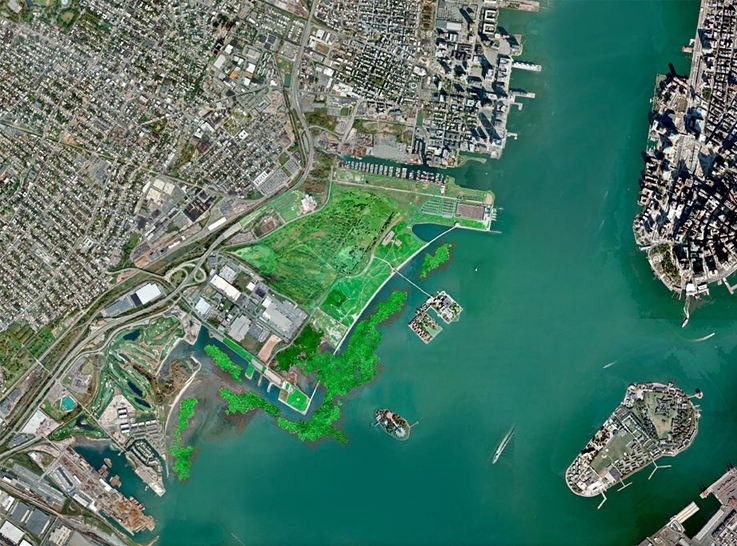 Projects addressed a range of sites and waterfront related design problems. From the Competition Statement: To transform the harbor and estuaries to meet the changing demands of the coming decades and to offer a richer and more ecologically integrated urban environment will require planning approaches that employ various strategies and support interventions at multiple scales. Ecological enhancement should be incremental and opportunistic, allowing for the testing of ideas and the development of different localized landscapes. 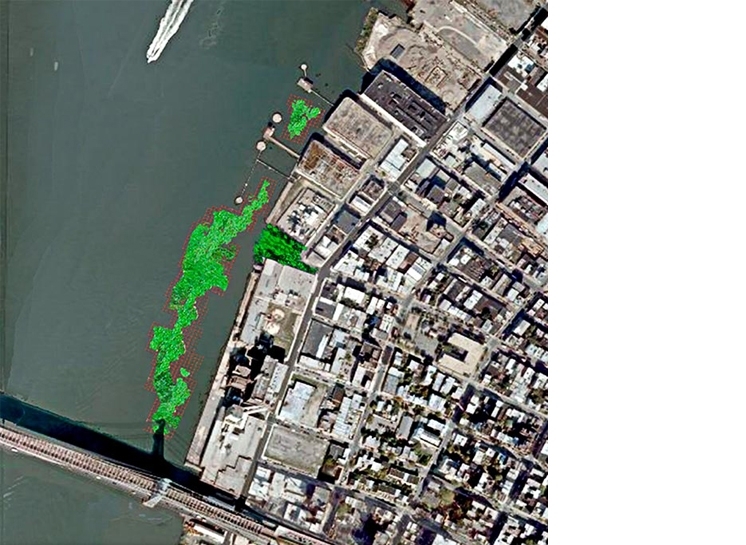 Site-specific project developments will allow for the verification of adaptability, efficiency, and performance for each type of proposed ecological system improvements. The overall direction should be towards creating more articulated edge conditions, more diverse biological zones and improved habitats. Increased ecological complexity and the potential for biological systems to thrive can also provide the benefits of ecological servicing: storm surge protection, natural water filtration, stream flow stabilization and increased recreational, cultural and economic opportunities. The submission was one of three projects selected for award.